Caring for a pet bird is a serious commitment for any bird care service, however attracting the right kind of clients is the toughest challenge that they pose. 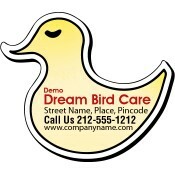 This time they can try to build impressions by indulging custom bird care magnets. These animal and pet care magnets offer large imprint space to marketers and they can appropriately utilize it for positioning their brand logo, address and call for action statements. It is the perfect choice to be given during mass events because we offer attractive price savings on bulk orders! 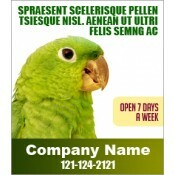 Most bird pet owners prefer to approach a bird care service inspired by their own or close experiences, word of mouth references and advertisements. They always expect the chosen bird care service to offer quality care, love and stability to their domesticated pets in their absence. Pet grooming and boarding services have largely remained unaffected with the recent recession. With a big boom of pet care services across towns and cities, people are always confused about the right choices. They are largely depending on reviews and word of mouth references for establishing their trust in a particular service prior to approaching them. Being a pet care business owner, you can cut down this waiting time by choosing to remain before their eyes always. Give them a reason to remember you by offering these high quality custom magnets. 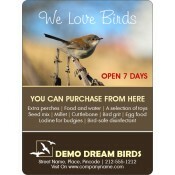 Crafted to perform and built to last, these animal magnets are sure to serve bird care services to find quality customers at less investment. 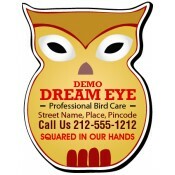 At CustomMagnetsDirect.com, we believe in offering quality and best-selling custom magnets under each category and this one is no different. 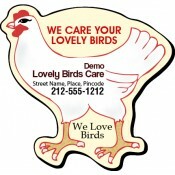 Here we have organized some of the best-selling advertising magnets sought by bird care services over the years. This ever-expanding collection includes bird shaped magnets, rectangle and square magnets and more. 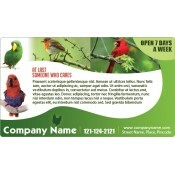 We offer tailored pricing benefits to marketers who wish to purchase these customized veterinary magnets in bulk. Additionally, they can save on full color printing, digital online proof, shipping and art set up because their prices are included. To know more about any aspect of customization of these bird care vet magnets, feel free to approach us at info@CMagnets.com or call us at 855-762-4638 (Toll Free).